These adorable little caramel and candied apple pops are actually made of caramel candy, dipped in an apple flavored candy coating! Unwrap three caramel candies. Using the warmth of your hands, roll all three caramels into one ball. Push lollipop stick or craft stick into the caramel ball, making sure not to push it all the way through the top. Create a stem out of some extra caramel. 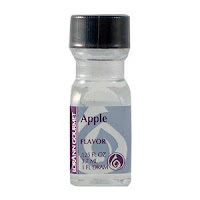 Melt light green candy melts according to package and stir in a few drops at a time of apple flavoring, until you have reached your desired apple taste. Holding the stick, dip caramel ball into bowl of green, apple flavored candy melts, coating the entire caramel ball. Gently tap the stick on the side of the bowl to let any excess chocolate fall back into the bowl. 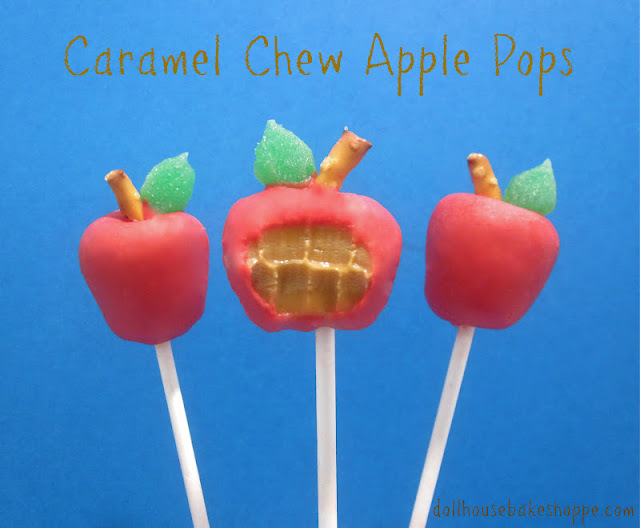 Attach a piece of rolled out caramel for a stem, right next to the stick, while candy melts are still wet. Place caramel ball on wax paper, stick pointing up, to dry. Refrigerate for a few minutes, to dry and set the candy coating quicker. 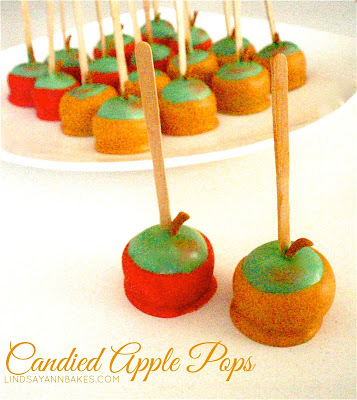 Once green layer has dried, dip the bottom half of your apple into red or caramel colored candy melts. Place back on wax paper, stick pointing up, to dry. It is ok if there is excess candy melts pooling at the bottom of the apple, this makes it look more authentic. Place in the refrigerator to set the candy coating. Brush some pink luster dust onto the green part of the apple to give it an authentic look. Once candy coating has set, you can wrap them up for gift giving in clear plastic bags and attach a custom tag. Or display them on a platter for a party!